These self-catering apartments are located in Berlin’s central Kreuzberg district, all within a 3-minute walk of underground trains. Each features a flat-screen TV and an iPod docking stations. The Traumberg Flats have wooden floors and high ceilings. All modern comforts are provided, including free Wi-Fi. Apartment in the Superior category also have full kitchen facilities. The green Viktoriapark is within a 5-minute walk of the Traumberg Flats. Holiday apartment 253433 This is how we would describe our apartment in a few words:Inside: nice terraceOutside: charming with nice restaurantsOur apartment Bergmann Modern is located in the central and beautiful Kreuzberg area. Holiday apartment 268732 The apartment is located in the heart of Kreuzberg - Bergmannstraße.Located in the courtyard of a building at the end of 800, the apartment of 50 square meters was completely renovated in January 2010. Holiday apartment 268853 Charming, bright 2-bedroom apartment with kitchen, bathroom (shower), balcony in one of the most popular and central districts of Berlin (Friedrichshain / Kreuzberg), right on Chamissoplaatz, 2 streets away is the famous mountain man street full o. Holiday apartment 276783 This is how we would describe our apartment in a few words:Inside: modern relaxationOutside: easy to get to the sightsOur apartment Kreuz Blick is located in the central and beautiful Kreuzberg area. 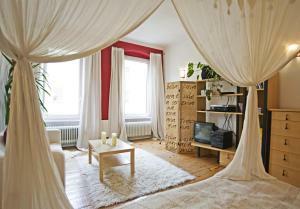 Traumberg Flats price per day from €64 These self-catering apartments are located in Berlin’s central Kreuzberg district, all within a 3-minute walk of underground trains. Each features a flat-screen TV and an iPod docking stations. The Traumberg Flats have wooden floors and high ceilings. 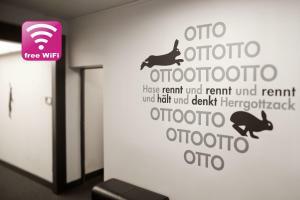 All modern comforts are provided, including free Wi-Fi. 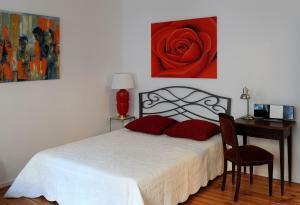 Apartment in the Superior category also have full kitchen facilities. The green Viktoriapark is within a 5-minute walk of the Traumberg Flats. Kunsthaus Davidu Berlin Kunsthaus Davidu Berlin is a self-catering accommodation located in Kreuzberg, Berlin' s most popular area. 9 km from Alexanderplatz and 4. The studio apartment will provide you with a cd player. There is a fully equipped kitchen with a dishwasher and a microwave. Private bathroom comes with a shower. If you feel like visiting the surroundings, check out Potsdamer Platz (2. 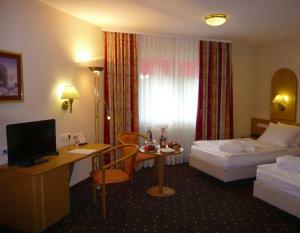 Tegel Airport is located 10 km from the property. Restaurant Vanille & Marille, Berlin Guest reviews: 9,8/10 ~ 0,5 km from Traumberg Flats Address: Hagelberger Strasse 1, 10965, Berlin. Cuisine: Ice Cream. Restaurant Peperoncino, Berlin Guest reviews: 9,2/10 ~ 1,9 km from Traumberg Flats Address: Urbanstrasse 137, 10967, Berlin. Cuisine: Italian. Restaurant Gruenfisch, Berlin Guest reviews: 9,4/10 ~ 2 km from Traumberg Flats Address: Graefestrasse 26a, 10967, Berlin. Cuisine: Italian. Restaurant Caffe e Gelato, Berlin Guest reviews: 9,4/10 ~ 2,5 km from Traumberg Flats Address: Alte Potsdamer Str. 7, 10785, Berlin. Cuisine: Ice Cream. Restaurant Centolire, Berlin Guest reviews: 9/10 ~ 2,6 km from Traumberg Flats Address: Leipziger Strasse 128, 10117, Berlin. Cuisine: Italian.